Each year in September, I have the honor of welcoming our new AmeriCorps class to Legal Aid. I share with them the history of our organization, where we are and where we are going in the future. As we talked about their future and the work that they would be doing over the next year, I shared with them how the experiences they will have through our AmeriCorps program will provide them with amazing opportunities in the future. Our AmeriCorps program was one of the first partnerships with a legal services organization in the country. We started the program in 1996 and have had a version of the program for most of that time. Through the doors of our organization come fifteen to twenty eager and excited members each year, wanting to serve and work with the low-income population. They have been the backbone for the creation of our self-help materials and our assistance to pro se litigants. Over the years, our program has had attorneys, law students, and non-attorneys. Our current program focuses on non-attorneys (including law students), many who use the year or two of service to gain exposure to the legal field. Each year, a number of our AmeriCorps program graduates go on to law school and others decide that the law isn't quite for them. Still others decide to stay on with our program, currently, on staff, we have twelve former AmeriCorps members. As I think of the future opportunities before this newest AmeriCorps class, I am inspired most by two of our alumni. This summer, two of our Legal Aid AmeriCorps alumni were sworn in as District Court judges. Both Kristin Hamman and Kristine Yoo were AmeriCorps members in our Maui office. Judge Hamman became a District Court judge in June and Judge Yoo was sworn in at the end of August. Both built amazing legal careers after they left Legal Aid, however what was cited by Chief Justice Recktenwald in appointing both of them was their community service and their commitment to giving back. I like to think that their experience with Legal Aid as AmeriCorps members helped a little bit with that. As we welcome our newest class, we know that they will go far. "I was homeless, living on Bishop Street. Also unemployed and in need of housing and income. Legal Aid helped me file for SSI. Get my birth certificate. Advocated for housing. Because of Legal Aid's help, I am currently housed. I have my I.D. AmeriCorps Advocates Alisa Small (Leeward), Jasmine Jin (Homeless Project), and Liliana Talamantes (Windward) with staff member Emil Romolor (Homeless Project) at the 2018 Project Homeless Connect. Before I came to Legal Aid, I was waiting and waiting for my claim to even be looked at!!! It had been sitting on a desk for months and months. When Legal Aid called, they had no idea my claim was waiting to be appealed. Legal Aid helped me by moving the process along, faxing over important documents, calling and speaking to the right people, even coming with me to a hearing. I never felt like a burden to Legal Aid, they were always eager to help me when needed! I was finally able to get my claim/appeal approved. At first, handling it on my own was so stressful but through Legal Aid, I was able to rest assured I was getting the help by Social Security! Molokai Legal Aid staff member April Kealoha helped Leah with her disability appeal and get reinstated. Members of this year's AmeriCorps class had an opportunity to ask District Court of the First Circuit Judge Hilary Gangnes questions after they observed hearings in her courtroom. Oahu AmeriCorps members Stacy Machen, Alisa Small, Monica McConnell, Alexis Mukaida, and Jasmine Jin and HIJC outreach specialist Joanne Loeak took part in this year's Children and Youth Day. The event brought hundreds of families and children to the Hawaii State Capitol for fun games, entertainment, and useful information for families. Are you smarter than a paralegal? The Girls Got Grit mentorship program at Sacred Hearts Academy connects local, professional women business leaders with Academy students in grades 10-12 to provide job mentoring, skill building, leadership development and networking opportunities to prepare the students to become future women leaders in Hawaii's workforce. Legal Aid attorneys Joni Domingues, Connie Liu, Ashlee Drake Berry, and Lindsay Kukona Pakele hosted students for the afternoon to share more about their work at Legal Aid and to answer questions about pursuing a legal career. Several members of the Maui Legal Aid office made the long drive out to the rural community of Hana Maui to do an outreach event in collaboration with the local non-profit Ohana Makamae, a substance abuse treatment and family resource center in Hana. There were several participants in the program as well as other members of the public who attended the event, which mainly focused on family law matters. Staff attorneys Megan Moniz and Ben Pittenger presented legal information to the participants and were able to follow up with a few to identify if they were able to qualify for Legal Aid services. Maui paralegals Anna Alexander and Patience Kahula were integral in the planning of the outreach opportunity and also helped at the event. Bill Heflin is recognized for his work at the Hilo Self-Help Center by Hawaii Supreme Court Chief Justice Mark Recktenwald, Justice Michael Wilson, and Legal Aid Executive Director Nalani Fujimori Kaina. The Legal Aid Society of Hawaii honors William B. Heflin for his leadership and commitment to serving the community through his pro bono work at the Hilo Court Self-Help Center. A collaborative project of the Hawaii State Judiciary, the Hawaii State and Hawaii County Bar Associations, and the Legal Aid Society of Hawaii, the Hilo Self-Help Center was opened in 2012, and since then has served over 5,000 people seeking information to help themselves with their civil and family law legal issues. As the Hawaii County Bar Association's designated "managing volunteer attorney" for the self-help center, Mr. Heflin has been instrumental in working with Legal Aid's AmeriCorps members to recruit other volunteer attorneys, organize trainings, and provide much needed legal information to the public. Furthermore, in response to the current lava flow impacting Hawaii Island, Mr. Heflin took part in the Hawaii County Bar Association's disaster relief legal clinics and is working to have an additional volunteer attorney at the Hilo Self-Help Center available to answer disaster related legal questions. The Legal Aid Society of Hawaii is grateful for Mr. Heflin's work in advancing access to justice in the community and his dedication to the values of pro bono service. Mr. Heflin also served as past President of the Hawaii County Bar Association and is a graduate of the University of Hawaii, William S. Richardson School of Law. Bill is a get the job done kind of guy, because it needs to be done and it's the right thing to do. He puts others in front of his needs and has a focus to serve instilled from childhood. His excitement to sign lawyers up to volunteer at professional functions shows his willingness to keep SHC within the minds of Hilo lawyers, and it works. It takes people sometimes but through Bill's excitement to serve, he passes that experience on to others, who then become enthused servant leaders. When SHC is forced to close because he is not available to assist it may become personal, even for me, but we need to think about all the days we have remained opened, serving those who need it most, because of Bill's diligence. Legal Aid welcomes Claudia Shockley as the new Kona Legal Aid managing attorney and Dan Mistak and Laura Cushman as its newest staff attorneys. We thank outgoing staff attorney Charles McCreary for all of his work at the Kona Legal Aid office and wish him all the best in his new adventures. Sheding light at the "Out of the Darkness" - Community Walk, Gina L. Okuda-Stauring, Legal Aid AmeriCorps member with Waimea High School students. Last month, many participated in the walk to prevent suicide, the second annual "Out of the Darkness" Community Walk, sponsored by the American Foundation for Suicide Prevention in Waimea. Although September was National Suicide Prevention Month; however, mental health advocates, prevention organizations, survivors, allies and community members continued with the efforts in promoting suicide prevention awareness. The Center for Disease Control reports that from 2005 to 2015, nearly half of the rural countries saw increase of suicide rates. In Hawaii, between 2013-2017, suicide was the leading cause of fatal injuries and the ninth leading cause of all deaths in the state. In Hawaii, on average, one person dies by suicide every two days. One reason for the crisis mentioned by Life Bridges Hawaii and Prevent Suicide Kauai Task Force member, Gina Kalulukukui, is that access to resources may be limited and unknown to victims. The mobilizing of local and national task forces, such as NAMI (National Alliance on Mental Illness) in Kauai and Life Bridges, National Suicide Prevention Lifeline, American Foundation for Suicide Prevention, and Preventsuicidekauai.org that provides training, support and education has made a difference in generating a network of resources available to those in need, but more must be done. So, today was a day for me to do something about it. It was an opportunity to talk about our services at Legal Aid and the Kauai Court Self-Help center; our mission with Project Kaulike for individuals to access justice. I believe, where there is light, there is hope. The purpose of the walk was to bring awareness and prevention; a time and place where people received and offered support, information, healing and hope. In talking with survivors and families I learned going forward that the support of one person alone, who only offers a smile, listens, who is aware of suicide warning signs, suicide hotline numbers, and suicide organizations, will significantly help prevent suicide. For anyone experiencing difficult or suicidal thoughts or anyone who knows someone who is, call the Crisis Line of Hawaii at 1-800-753-6879 (Neighbor Islands), the National Suicide Hotline at 1-800-273-TALK(8255), or message the Crisis Text Line at 741741. The Lifeline is FREE and confidential, and is available 24 hours everyday. 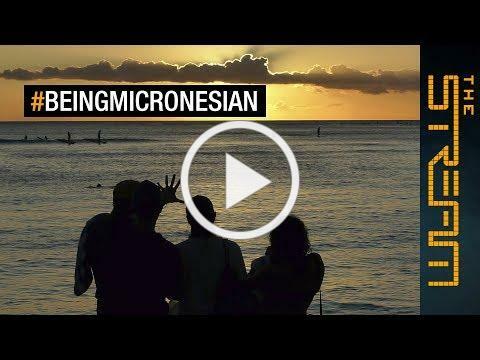 When Sha Ongelungel moved to Hawaii in 2001 and started applying for jobs, her cousins warned her not to tell anyone that she was Micronesian. "Tell them you're from Oregon," they advised, the state where Ongelungel was born and raised. Say you're Palauan if you have to, but "Whatever you do, don't tell them you're Micronesian." "If anything it kind of felt like it had gotten worse," she says. Now, Ongelungel is no longer surprised or silent about it. On Sunday, she created a Twitter thread pulling together many of the screenshots she's taken over the last two years of online abuse she sees regularly using the hashtag #BeingMicronesian. The list has generated buzz with one fellow Micronesian woman commenting, "I've seen it all before ... but it still hurts so much. #NoAlohaForUs ��"
The Twitter thread is a litany of statements that reveals ignorance about the small but growing immigrant community whose members have been coming to Hawaii for decades for schooling, jobs and medical care. HIJC staff Bow Mun Chin, Paul Luu, and Joanne Loeak provide legal information to workshop participants applying for naturalization. Staff members from Legal Aid's Hawaii Immigrant Justice Center joined volunteers from various community organizations and The Legal Clinic to help eligible immigrants apply for U.S. citizenship. 20 participants attended the workshop at First United Methodist Church in Honolulu and received help with their application for citizenship. #GivingTuesday is an international day of giving where anyone, anywhere can make a difference. Celebrated after Thanksgiving, Black Friday, and Cyber Monday, it is a global reminder to give your time, skills, voice, dollars, and goods to charity. Join the movement on November 27. Please consider us again the next time you give.